The Duomo Cathedral in Milan, Italy. Larger than life and quite breathtaking! Blue skies and a Sunday fun-day to do what we please.. 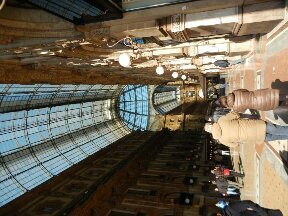 Perfect time to sight-see the beautiful & historical architecture of Milano! The details are incredible inside and out. Gazing up at the handmade adornments filled me with amazement. We stepped inside on a Sunday during the locals service, which was crazy because there were tourists all around with a rope separating the tourists from the church goers. The tall decorated columns felt like they went on forever, the decorative marble flooring is perfection, and the candle lit prayer areas add a spiritual charm that warms your heart regardless of religious beliefs. Of course, the stained glass is one of my favorite elements.. Amazing! 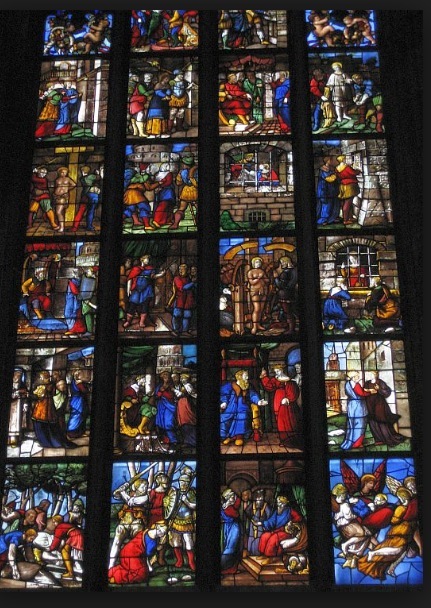 One of many stained glass walls inside of The Duomo. 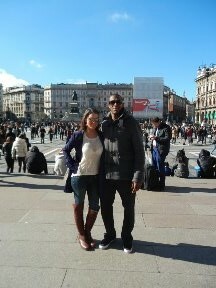 My wonderful boyfriend taking in the sights with me. 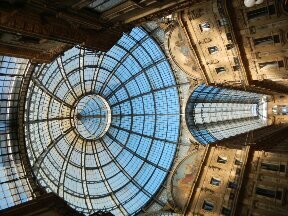 Our next stop was a 7 story tall shopping area, The Galleria. 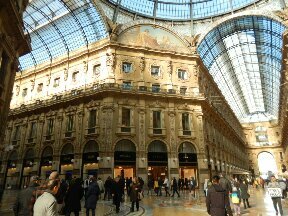 This historical t-shaped building is filled with fine dining and top designer shops including Prada, Gucci, etc.. The best part in my opinion is the outrageous glass ceilings that offer natural sky lighting. 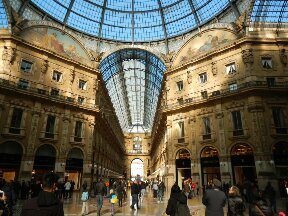 The Galleria (next to The Duomo Cathedral) in Milan Italy.